Microsoft has announced the availability of a new Surface Pro in India. Starting at Rs 64,999 ($1,000), the range starts with a Core m3 model, and goes up to a Core i7 machine for Rs 182,999 ($2,800). The new models will be available directly from Microsoft, through Amazon, as well as through a range of authorized retailers. The company highlights the quiet, fanless design of some models, as well as the lightness and thinness of others. 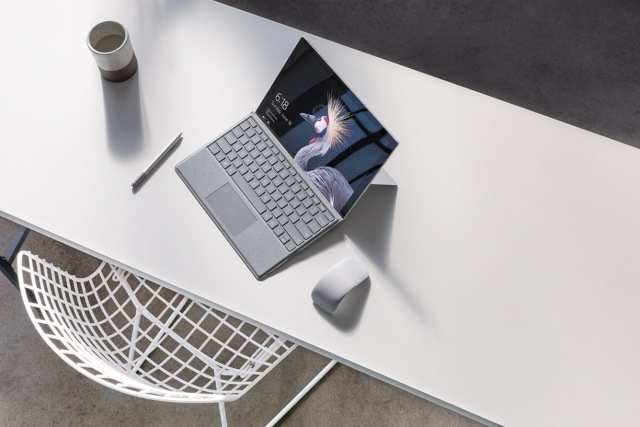 Battery life and performance is key to these latest additions to the Surface range, and there are models to suit differing budgets. While these are not entirely new models, the launch in India sees the device being made available to a new and eager audience. While Microsoft will obviously be hoping to shift reasonable numbers of units through private sales, more than 130 commercial resellers will be looking to push the device to larger clients. We are delighted to announce the launch of Surface Pro in India and offer our consumers another superior device that will enable them to create, study, work and play virtually anywhere. We continue to push boundaries to better serve the needs of our customers who are seeking greater mobility and power in their devices to stay productive. The new Surface Pro delivers the versatility of a laptop and a creative studio in one thin, lightweight device. The new Surface Pro models are available from today.